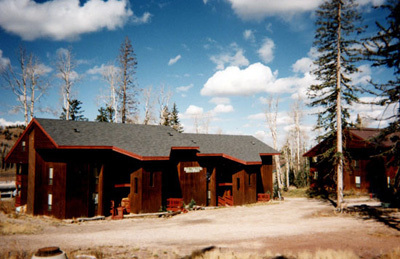 We are a one stop shop to make your reservations for a trip to Brian Head, Utah. Whether your planning on snow skiing, snow-boarding, mountain biking, or any of our popular activities, Brian Head Condo Reservations can help you make your plans and get your reservations. In most cases, take interstate 15 to Parowan, Utah. Use exit #75 or #78. Take Highway 143. CAUTION: Highway 148 through Cedar Breaks is closed during winter months. Brian Head is located in Beautiful southern Utah, A three hour drive from Las Vegas. Approximately four hours from Salt Lake City and eight hours from Southern California and Arizona. WINTERTIME, our skiing is the best. We provide both Alpine & Nordic. With a base facility at 9,500 feet, Brian Head offers the finest in Utah powder skiing of 35 feet. Ski on gentle, groomed slopes or try deep powder. Lift lines are short, no waiting. Enjoy a GET AWAY on cross country skis or snow mobiles. SUMMERTIME, enjoy many planned summer activities, cool air, hiking, mountain biking, great fishing in nearby lakes and streams. Spectacular sightseeing at nearby Zion, Bryce or Grand Canyon National Parks, Cedar Breaks National Monument. TRULY A SUMMER PARADISE. In most cases, take interstate 15 to Parowan, Utah. Use exit #75 or #78. Take Highway 143. CAUTION: Highway 148 through Cedar Breaks is closing during winter months.